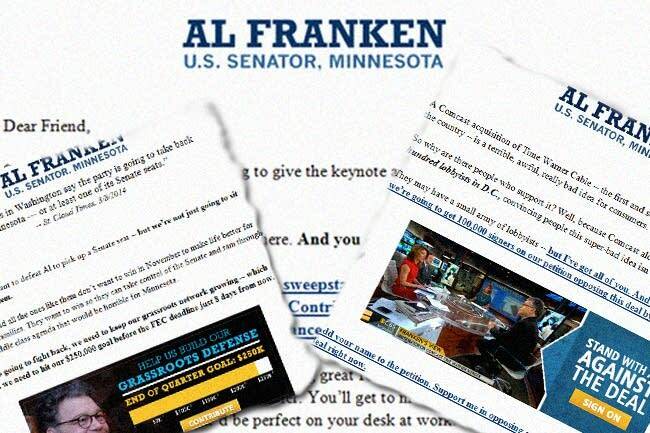 Sen. Al Franken's campaign sends out a lot of emails this time of year, but a lot of them don't ask for money. For now, it's your data he wants. "Dear Friend, Math is hard. But you don't have to be a mathematician to know that you can't raise a family on less than $16,000 a year," reads one recent email on raising the minimum wage. "That's why I'm asking you to sign our petition telling Congress to raise the federal minimum wage to $10.10 per hour." You might sign the petition expecting lawmakers to read it, but that's not likely the case. It's meant instead to glean information to help fundraisers find you later — part of the latest way campaigns are learning more about potential supporters and donors. Franken's team has also run online ads tied to Google searches, so if you searched on the minimum wage, you might see a link pop up taking you to Franken's petition, which can also be found on his Facebook and Twitter feeds. Emails are often filled with dark warnings about Republican super PACs that could target the Minnesota Senate race, even though outside groups haven't spent a dollar against Franken yet. The strategy has helped Franken raise more than $12.4 million toward his re-election, making the DFLer the most prolific political fundraiser in Minnesota these days. With quarterly Federal Election Commission fundraising reports due at the end of the month, those efforts are intensifying. "I have to get your attention quickly, I have to make you mad, I have to make you scared," said Nancy Bocskor, a fundraiser for Republican candidates who teaches political fundraising at George Washington University. "More importantly, your heart is closer to your wallet than your head and for me to raise money I have to grab your heart," she added. The petitions help campaigns refine what fundraising pitches are most effective with a potential supporter. "I happen to be an animal person, right? So if somebody sends me a petition that a dog is being abused somewhere, I sign that petition," Bocskor said. "Then all of sudden I start getting fundraising appeals based on animal rights." No one from the Franken campaign would agree to an interview. Of the $12 million raised more than half came from people who contributed less than $200 — the types of donors who give in $5 or $20 chunks over the Internet and can be reached through an online petition; 323,000 people have given $100 or less to Franken's campaign, 97 percent of his total donors. Small donors have also been enticed by the chance to attend fundraisers featuring celebrities like comedian Conan O'Brien and actor John Hamm. 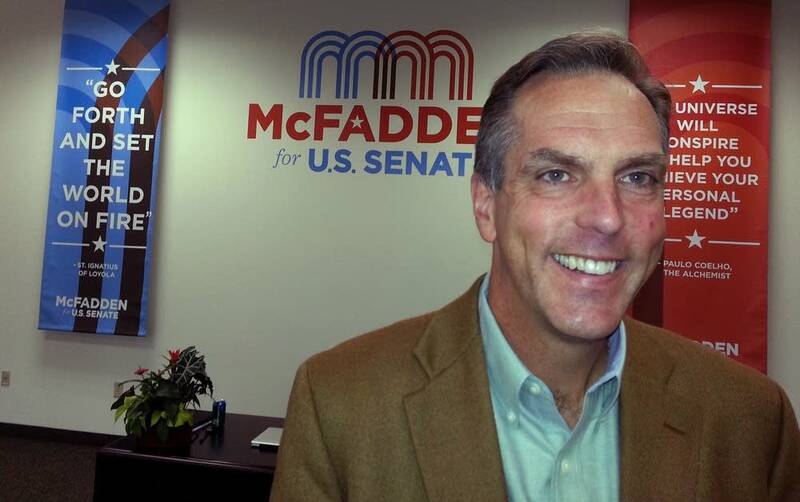 The campaign still uses more traditional techniques to raise money, such as call centers, fundraising letters sent by physical mail and big money campaign events with well-heeled donors. The small donors, however, can be a real asset for expensive and hard-fought campaigns, said Colin Delany, an online campaign consultant who works with Democrats. "You can come back to small donors again and again and again because they haven't reached their donation limits," he said. 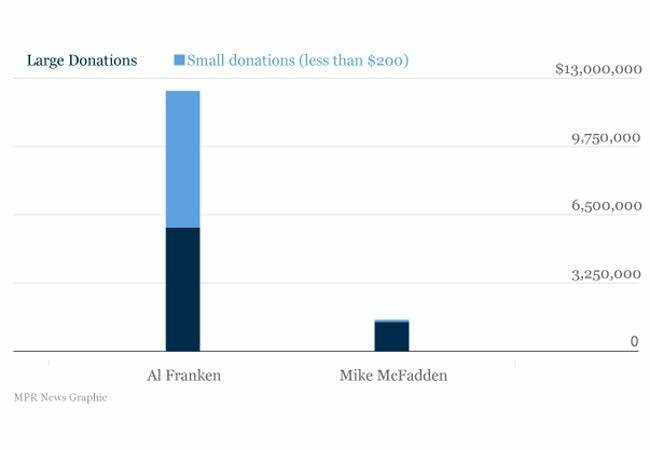 By comparison, 93 percent of donations to Mike McFadden, the best-funded of Franken's Republican challengers, came from donors giving more than $200 with many hitting the federal contribution limit of $5,200. Republicans have recently started to argue that the Minnesota Senate race is winnable for their side and a well-connected GOP operative just set up a super PAC to run ads against Franken. 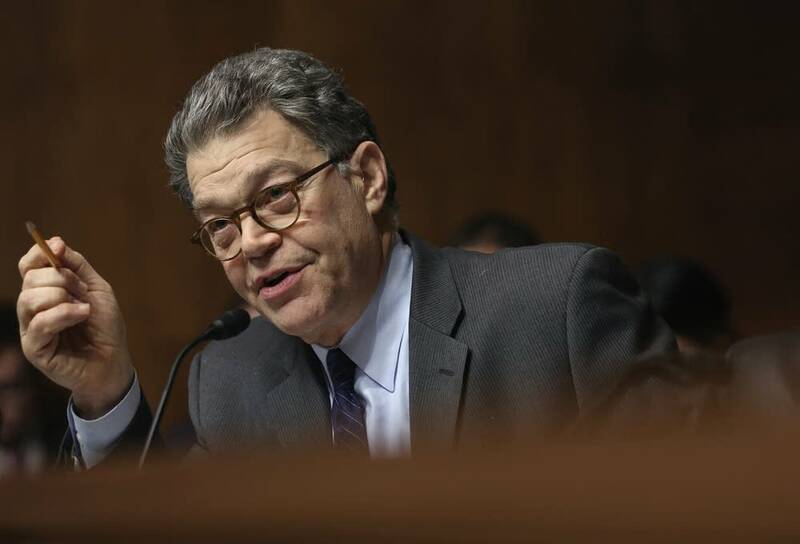 But for now, Franken still has an advantage in the race and he's likely to maintain his fundraising edge, said political analyst Jennifer Duffy of the Cook Political Report. "If it does become a more competitive race, I expect outside groups will take a serious look at it and national donors will become much more interested," Duffy said. Despite the Franken campaign's relatively sophisticated online presence, it can't be complacent, Delany added. "Just like money doesn't necessarily translate into votes, technology doesn't necessarily translate into votes either." Franken's campaign seems to be taking that message to heart. Though the election is still more than seven months away, the campaign says its focus is building up its grassroots base of supporters in Minnesota. Don't be surprised if the petitions keep coming all the way until Election Day.